We are living in the greatest economic transformation — ever. Over the past 200 years, we moved from the farm to the factory and the factory to the office. In the past 20 years, we left the office and are working in coffee shops and co-working spaces and at our kitchen tables. The information age is over. Information is now a commodity and we all have access to it everywhere. Today, we are building the Innovation Economy — with constant change, constant learning and constant creativity required by all of us — not just a select few. The problem is most of us grew up in families or schools or jobs that valued conformity and control — over creativity. 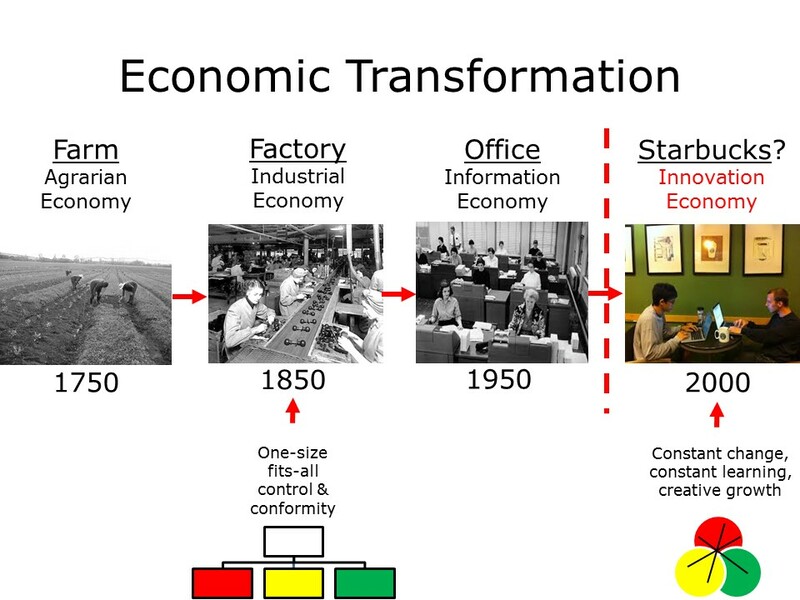 Our education, employment and entrepreneurial systems were all designed in the “one-size-fits-all” Industrial Economy of the 1800’s when control and conformity were king. Education costs are spiraling out of control as students try to chart their own personalized learning paths. 50% of students don’t graduate in 4 years, and 50% of graduates are under-employed after graduation. Real income growth for employees has been flat for decades — and 85% of employees report not being engaged at work. 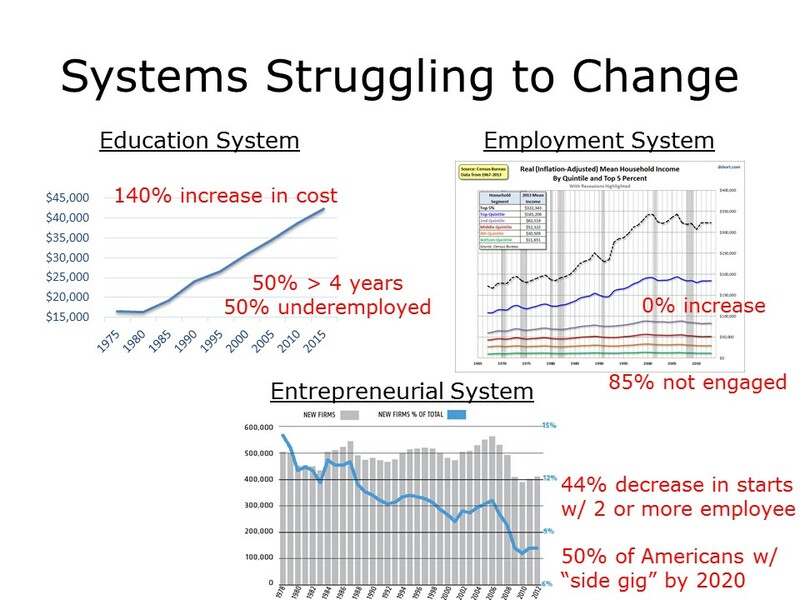 Even our entrepreneurial system is not working with the number of startups with 2 or more employees down by 44% as a percentage of active businesses — and 50% of Americans projected to have a “side gig” by 2020. There is no system or structure to support the widespread creative growth needed in the Innovation Economy. So, we are creating our own system.